We have delivered change programmes and projects with and without technology as an enabler to business change in both public and private sector organisations. We have supported clients making large scale organisational change from start to finish and have learned many of the pitfalls along the way. Our experience can help make the difference to your change initiative. Drawing on this experience, combined with some tried and tested tools and techniques, we will help you to prepare for the challenges that change inevitably brings. Your expertise lies in your sector and industry, we won’t try and compete with that, though we do have people who are comfortable with the language and culture of different sectors and industries. IdeaSown will create the environment within which your ideas can flourish and be converted into reality, this ‘environment’ will include a considered combination of tools and techniques, physical space and a structured process – tailored to your particular needs. Ian has 20 years’ experience within the IT industry including roles as a senior leader with EDS and Capgemini and consulting roles with other leading IT suppliers. 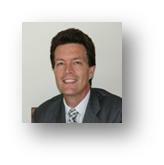 Ian has broad experience in leading transformational projects with the public and private sectors. Ian has broad experience in relationship management strategy development and process management, Ian has been relied on to deal at Director and CXO levels on many occasions. Ian has a strong background in developing people at all levels and has led senior-leadership development programmes on a number of occasions. 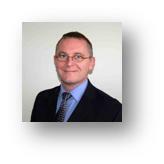 Jim has over 20 years’ experience in consulting and the UK public sector providing transformational and sourcing advice. Jim was Director of Strategy at HM Revenue & Customs and has also spent time as a partner in PA Consulting Group’s government and public services Practice, and a period with EightyTwenty Insight a specialist sourcing advisory company. Jim’s capacity as a strategic thinker was called on by HM Revenue & Customs when he developed the organisation’s scenario plans for UK society in 2020; a heavily relied on decisions making tool. Delivering innovation processes, securing fresh ideas from your team by opening their thinking processes to new possibilities, creating the means to take advantage of latent potential. We will bring our experience to bear to help you find your answers. We offer an independent perspective and are not afraid to ask the dumb question or hard question that others might shy away from. Wekeep a close eye on the dynamics of our engagements and help to make sure that you stay on track.